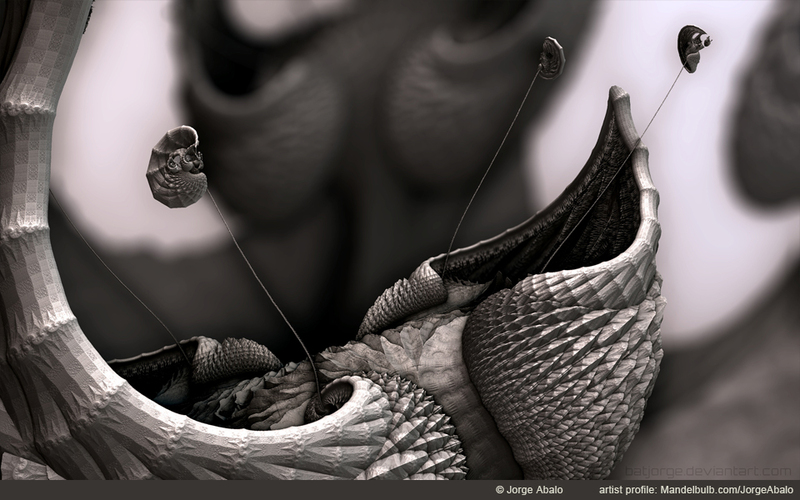 About: Jorge Abalo is a self taught artist who has been making art for as long as he can remember. 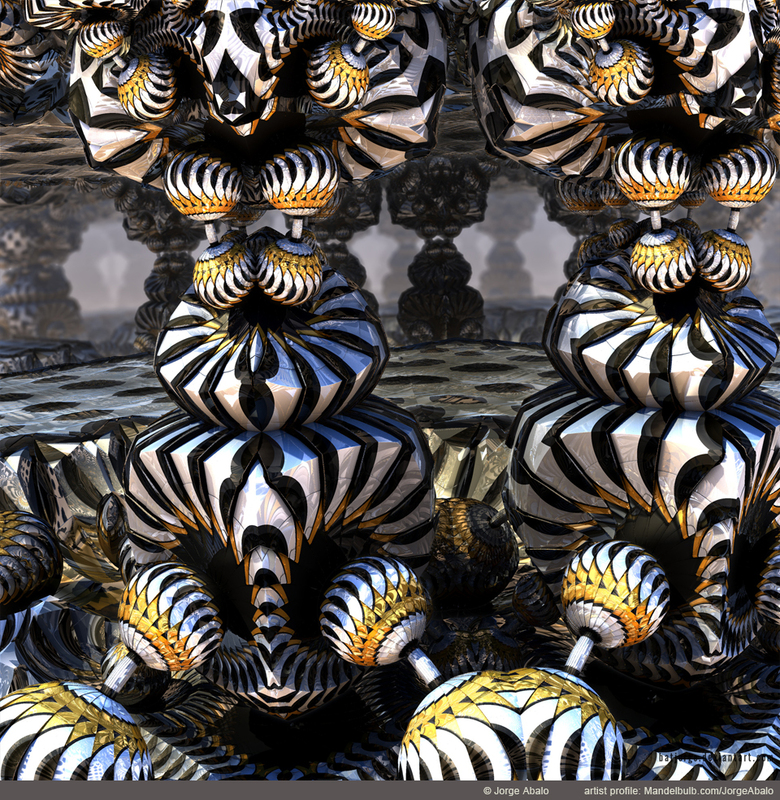 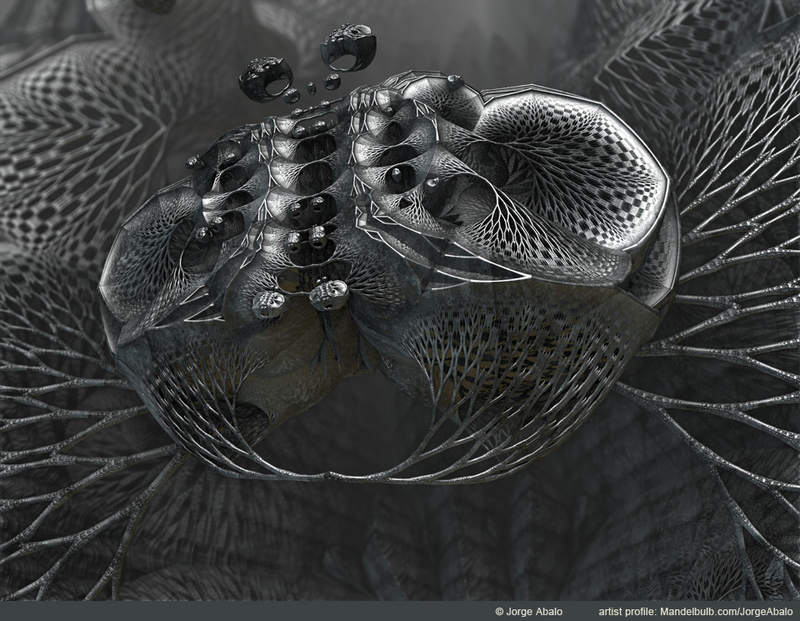 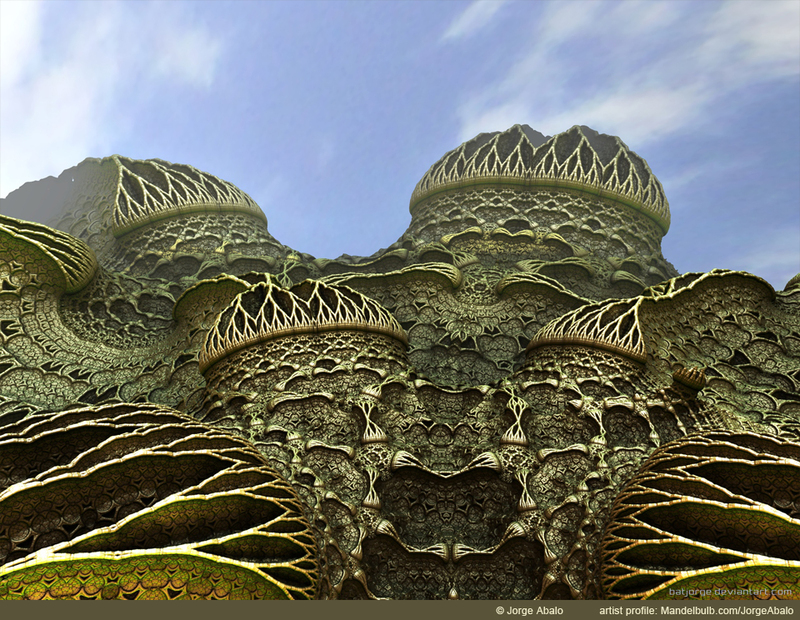 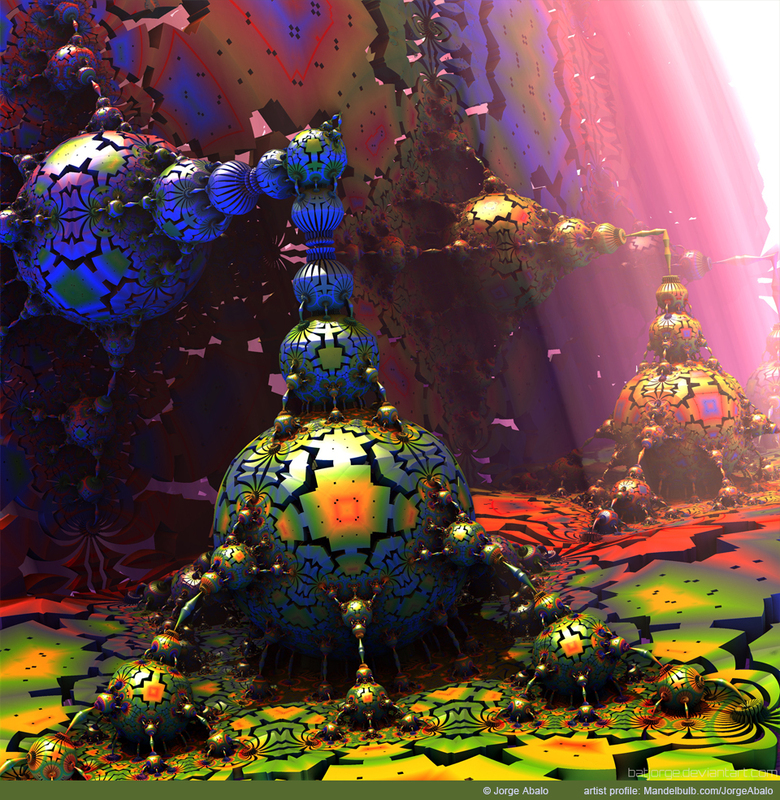 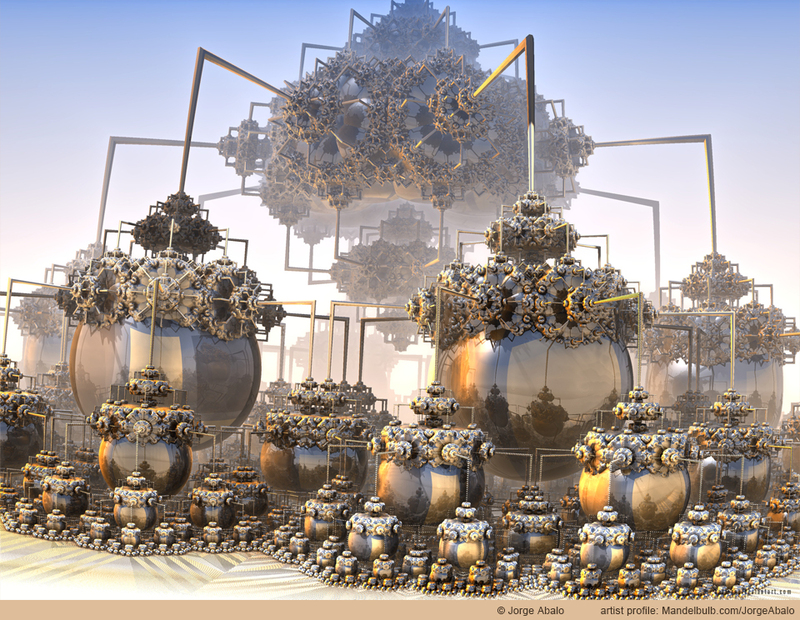 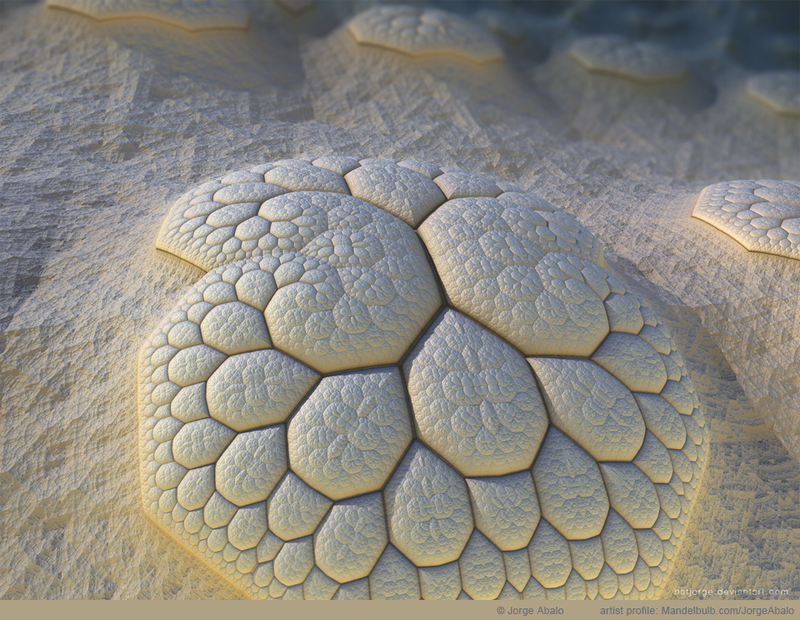 He began working in digital art in the 1990s, and did comic illustration, design (Adobe CS), 3D modeling (3ds max, Terragen, Bryce, Poser), and flame fractals (Apophysis) before being introduced to Mandelbulb 3D in 2011. 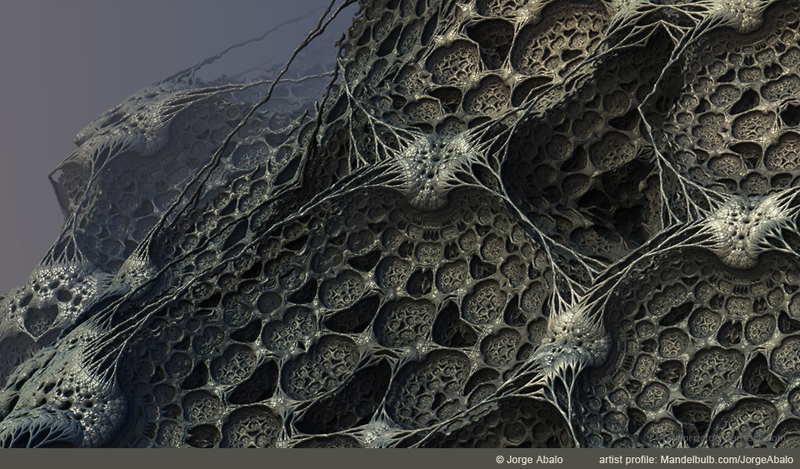 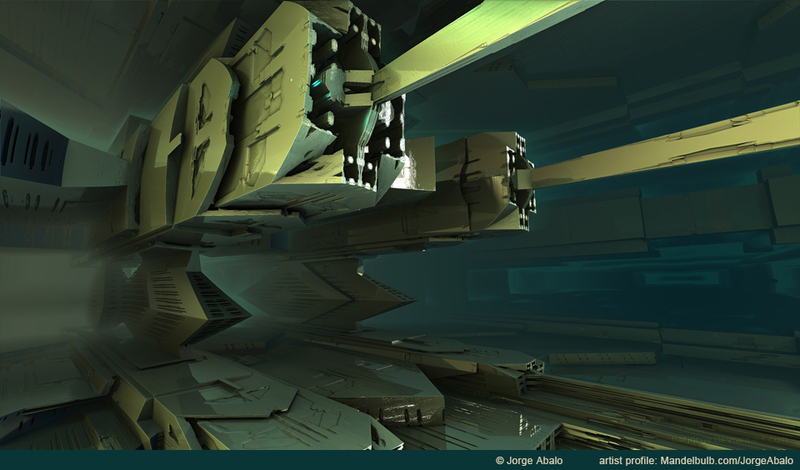 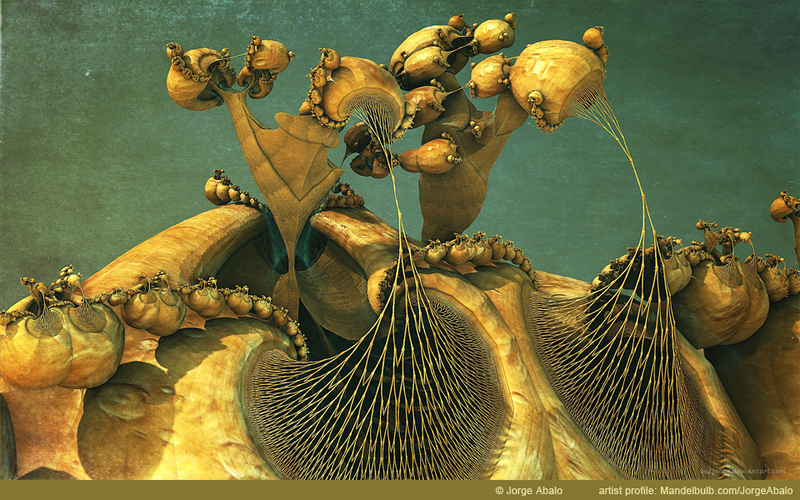 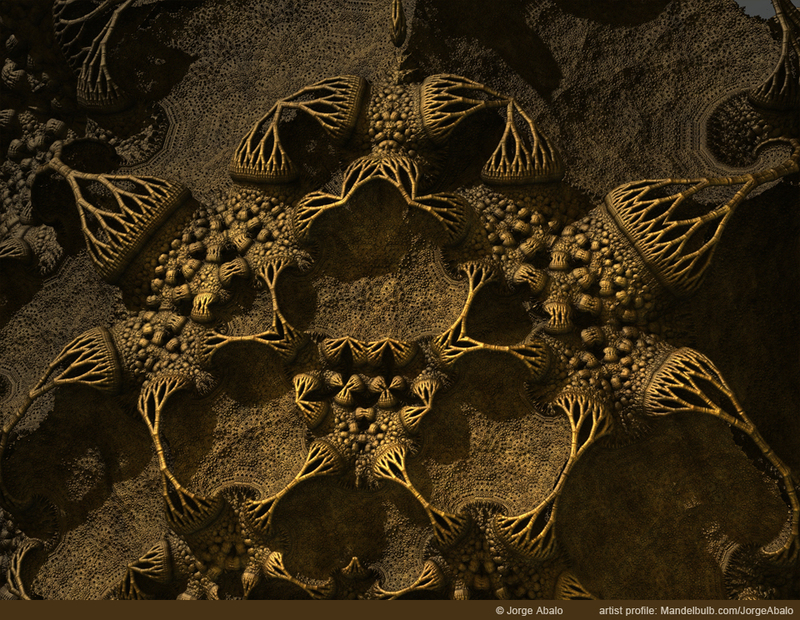 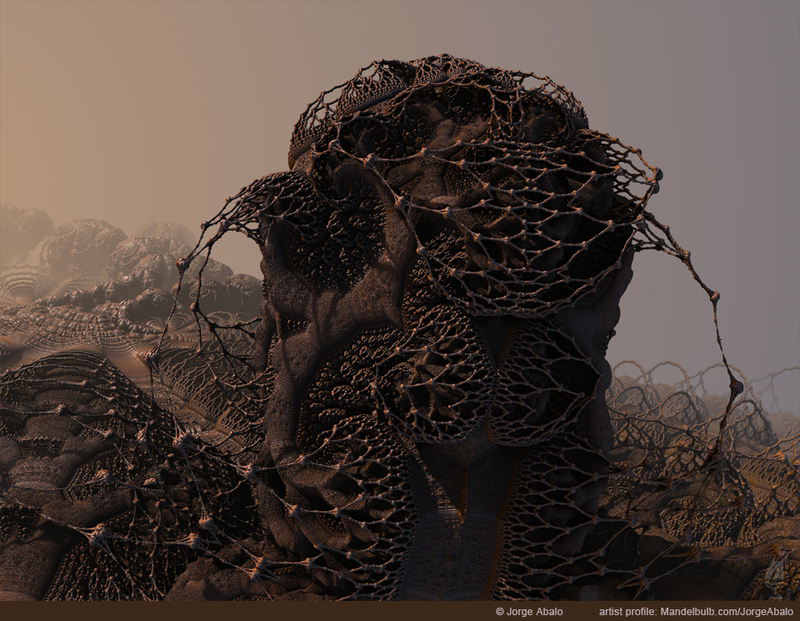 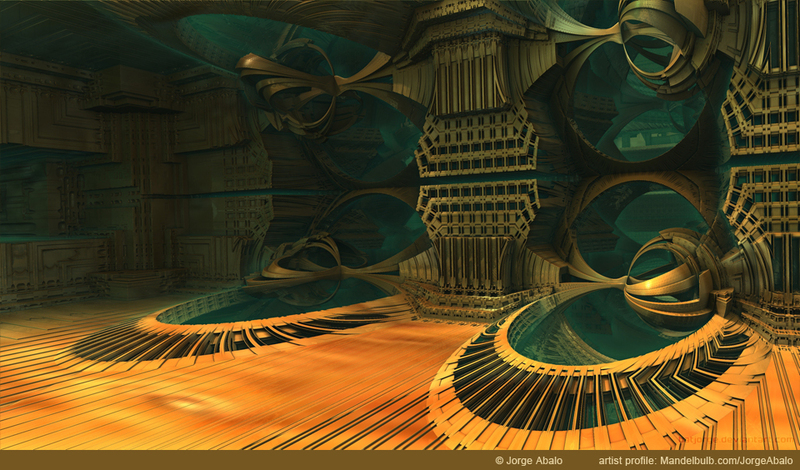 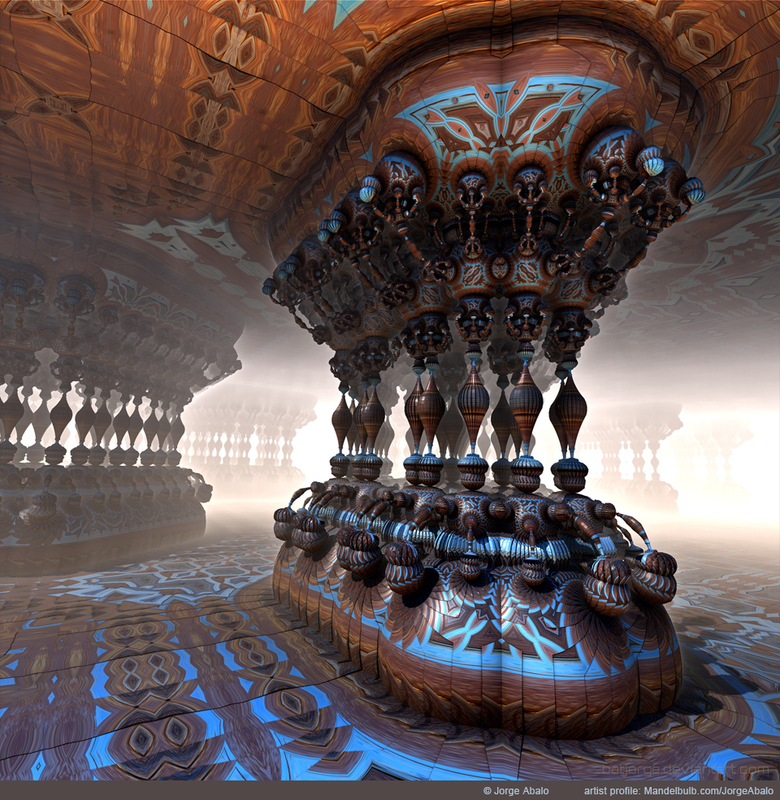 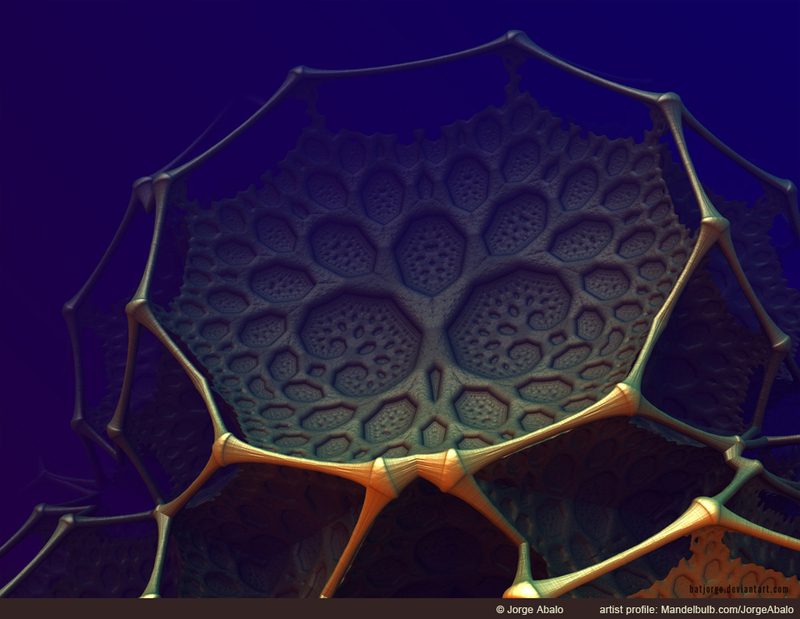 In his 3D fractal art, Jorge works with a number of formulas, creating some amazing architectural spaces and wild organic forms. 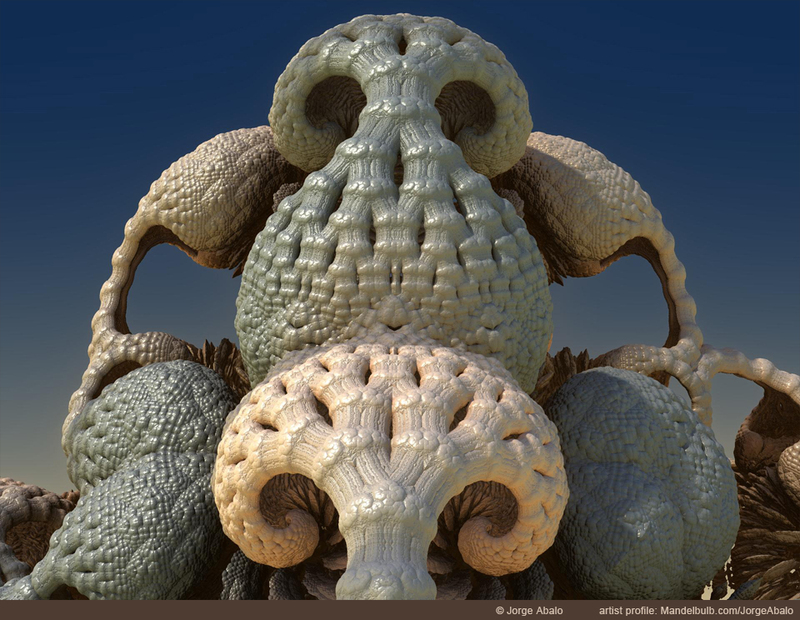 In many of his pieces, he explores Mandelbulb 3D’s fascinating ‘Amazing Surf’ formula, capturing images of incredibly natural looking objects—strange plant life and unfamiliar organisms. 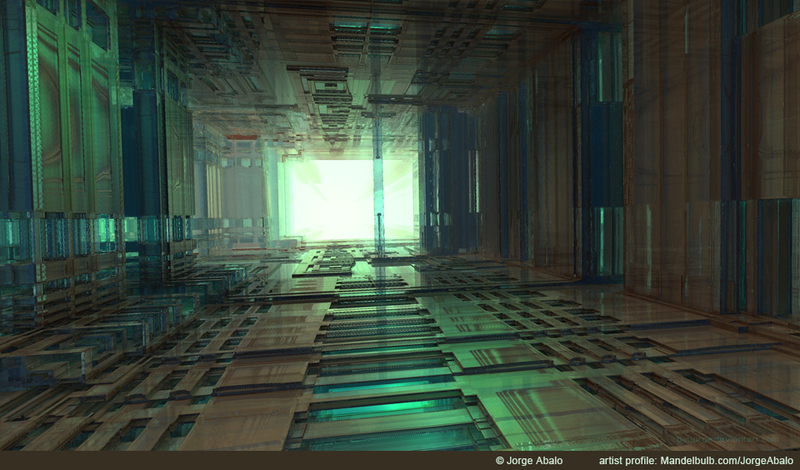 His work shows a great sense of color and composition as well as masterful control of the 3D rendering environment. 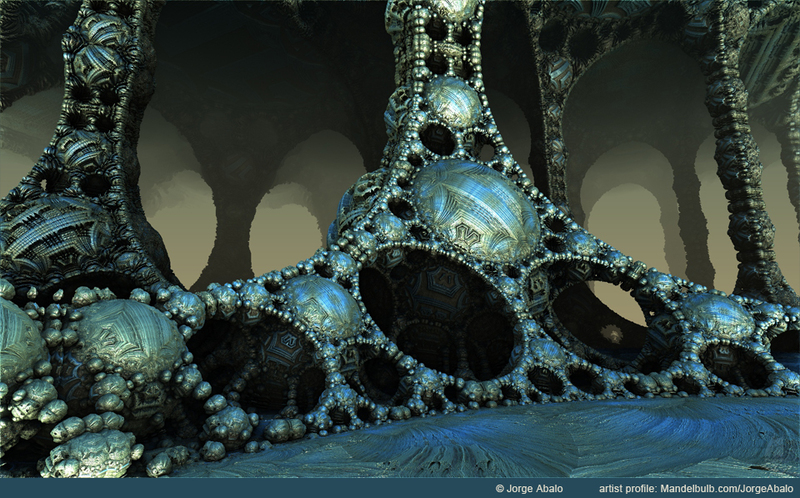 Images are © Jorge Abalo and appear here with permission. 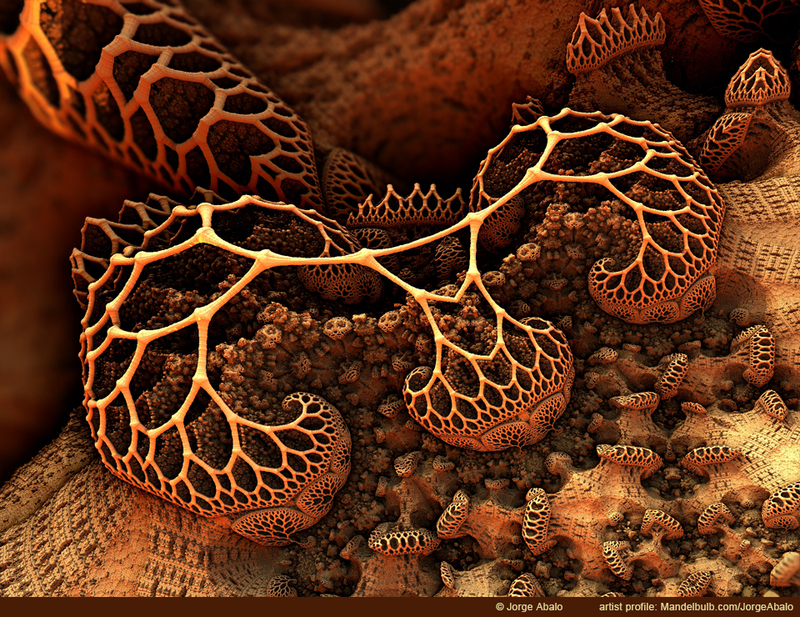 Links: Web site. 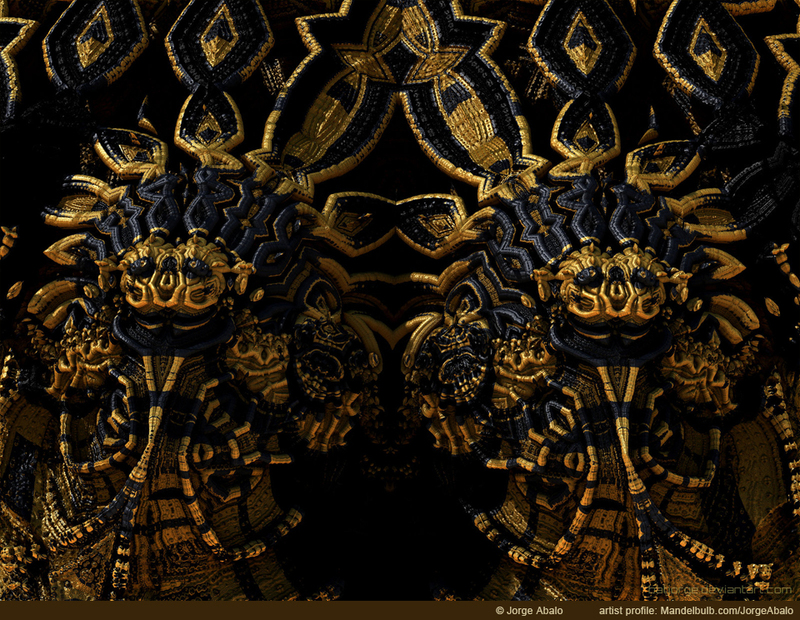 Deviant Art page. 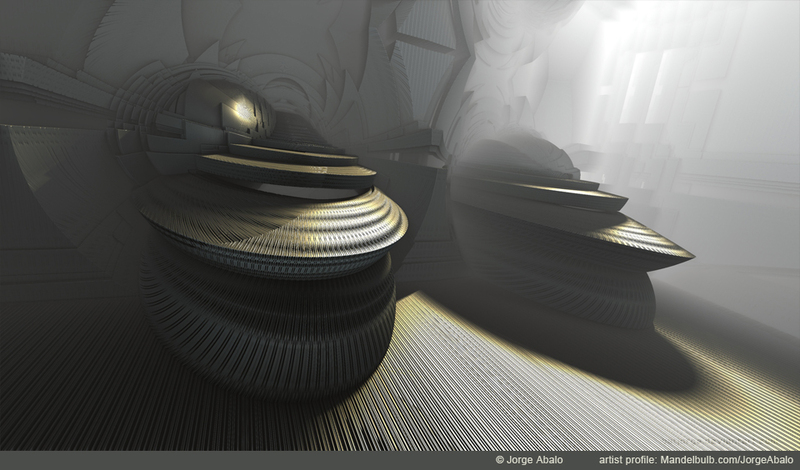 Contact.